Are you tired of the layout of your house and feeling cramped for space? Many homeowners don’t realize how much they can benefit from uncovering and reimagining underutilized spaces throughout their homes. Working with an experienced architect may unveil endless options for interior reconfigurations to get the most from your house for years to come. 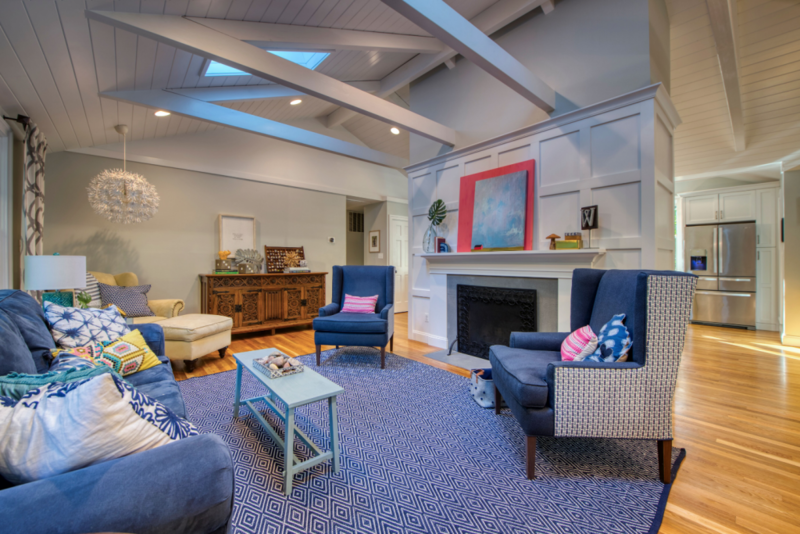 Nothing opens up a home more than removing walls and visual barriers between rooms. Not only can this enlarge small, closed-in spaces, but it can also completely modernize the look/feel of your home. Older homes with a floor plan segmented into many small rooms likely originated when each room needed its own heat source and when the philosophy that each room should have its own purpose was predominant. Nowadays, closed floor plans are no longer necessary, and in many cases are undesirable, making these homes more difficult to sell. An open floor plan creates a balanced, spacious feel. It can enhance a family’s interaction and is a much better layout for entertaining. Open-concept homes also offer better natural lighting, easier flow from room-to-room, unobstructed views, and more flexibility in how spaces are used. Consider how much time you spend in the kitchen. Is your kitchen the hub of activity for your family or when entertaining guests? Do you have enough room for prepping, cooking, eating, entertaining and storage? Now picture what could happen in your dream kitchen with features like an oversized island with electrical outlets, a prep sink, a second oven or a warmer and a large refrigerator. How about extra cabinets, a walk-in pantry or a cozy breakfast nook—or a countertop extending to a peninsula complete with a handful of barstools for the family and guests to enjoy. All of these features are within your reach through a kitchen expansion and modernization project. 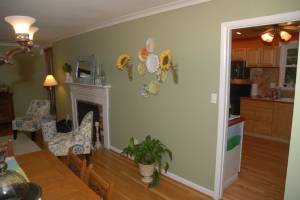 Room for a larger kitchen may be taken from an adjoining living room, hallway, first-floor laundry or adjacent dining room and reconfiguring the two spaces into one cohesive area. Although they aren’t always the most private places in the home, entryways, hallways, and foyers tend to be “dead spaces” that could be designed to support activities such as office work or playtime. A desk under the stairwell, for example, could serve as a smaller office space or study. If there’s room, consider adding a drop-leaf table, a couple chairs and a wooden chest filled with board and card games to the area. Or, consider buying or constructing a bench or window seat with game storage underneath. There are many creative ways to better utilize entry spaces than they’re most often use of collecting dust! It’s hard to imagine a house built today not featuring a master bedroom but before the 80s, homes had several smaller bedrooms with shared bathrooms and lacked one large master suite. Additionally, aging homeowner now want easy-access first-floor master suites. Using an adjoining bedroom and closing off a hallway bath is the most common option for creating a second-floor master suite. This also may require adding a second bath to serve the other bedrooms if one doesn’t currently exist. On the first floor, using space from an office, den and/or living room and closing off a half bath may provide enough room for a master suite. If expanding the footprint of the home is an option, master suites have become increasingly popular home additions for aging and extended families. See how the second floor and attic of a mayor’s home in Vienna, VA were reconfigured to create a large master suite bedroom, master bath, hall bath, and an incredible luxury walk-in closet! Do you have guests often enough to dedicate a room for them or could a guest room be turned into a more routinely used, functional office or craft room? Getting creative with spaces often means finding dual purposes for underutilized rooms. Simply incorporating under-bed storage, built-in shelving and a wall-mounted, fold-down desk could turn a closed-door room into your favorite creative space. 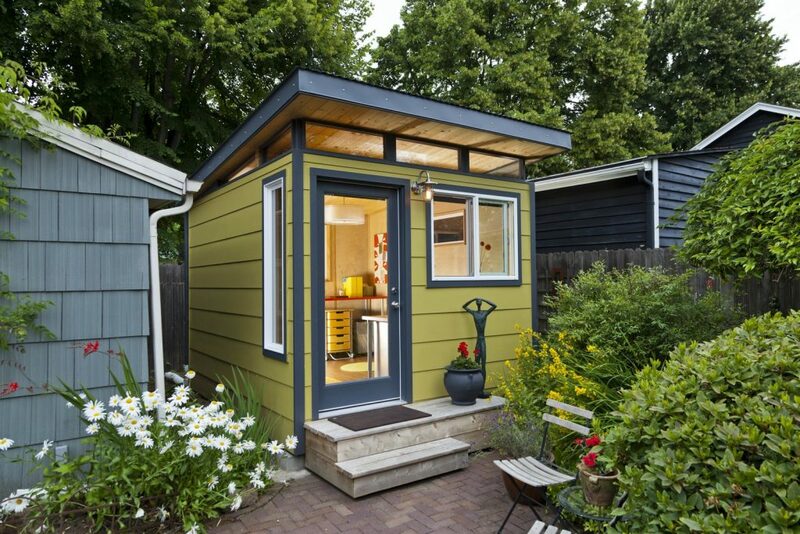 We’ll leave you with our final favorite idea—converting an old outdoor storage unit into a She Shed! A storage shed housing expired paint and busted rakes/shovels could be put to better use as an office, arts & crafts room or gardening studio. Or simply a new cozy space to maintain privacy and take time for yourself!